Denmark is considered to be the jewel in the Great Southern region’s crown, attracting thousands of visitors from all over the world every year. The laid-back and friendly attitude of most of the inhabitants and astonishing natural beauty is a drawcard for anyone needing to escape the hustle and bustle of the city or ordinary life to recharge. It’s the ideal sea and tree change that many would like to escape to. It’s a small, arty town where people enjoy the many outdoor activities Denmark has to offer all year round – and there’s plenty. Magnificent snow-white beaches and little coves where the powdery sand squeaks under your feet, fantastic surfing beaches, pods of dolphins and whales in season, brilliant fishing, snorkelling and boating, canoeing on the rivers and inlets, beach, forest and bike trails, spectacular fauna and flora, award winning wineries and restaurants – the list goes on and on. In short, it’s a little paradise with its temperate weather and enviable lifestyle. 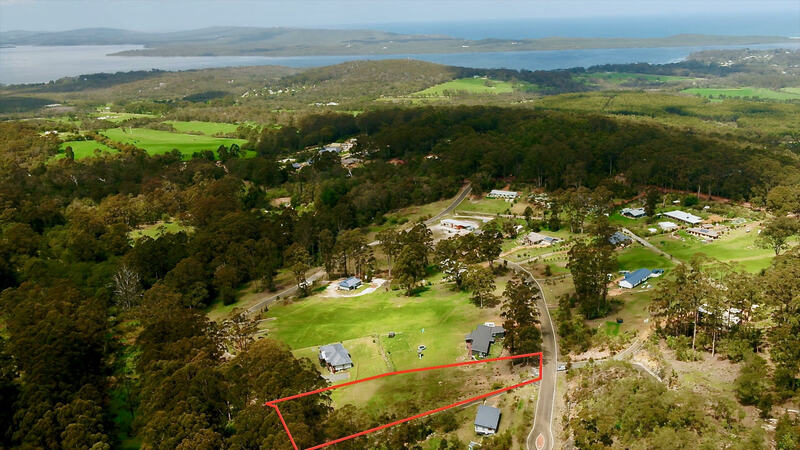 It’s also a well-loved getaway spot for top professionals and their families from Perth and surrounds which explains the high amount of expensive holiday homes and why beautiful, well-priced blocks are snapped up quickly. If you’re considering building a home in Denmark (soon or in the future) and want a bit of space and privacy in a quiet, upmarket area, then this block should definitely be your first consideration. 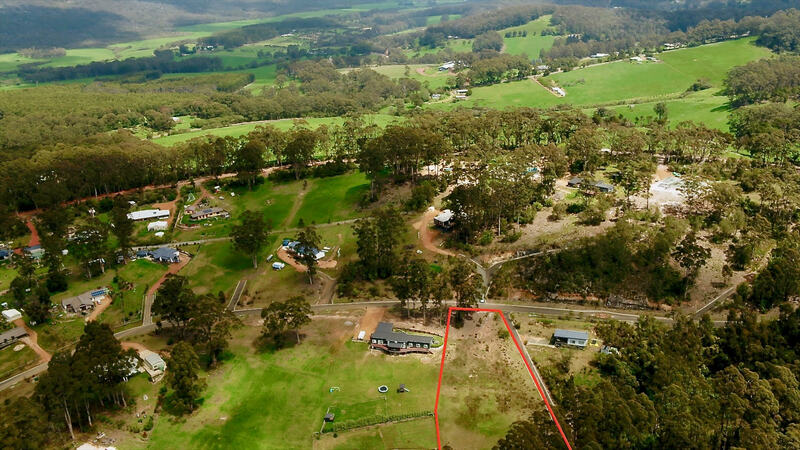 The current owners chose this particular block on the edge of the development as they are very private people and wanted as few neighbours as possible. 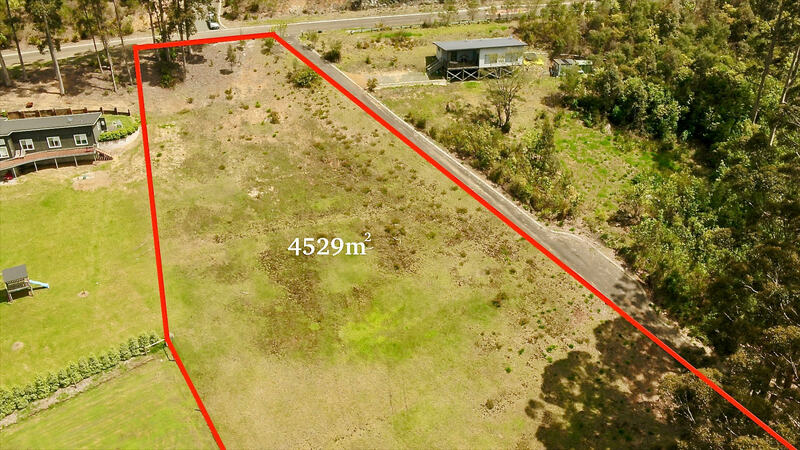 They sought a piece of land with a terrific outlook onto trees and the forest, in a quiet upmarket area, close to the CBD and with minimum wind. This block ticked all their boxes – and believe me, there’s not many blocks that could. It’s located in a relatively new development and already has a scattering of lovely homes that will set the tone for the rest of this very private enclave – with a single entrance/exit ensuring added security. Most of these blocks were quickly snatched up when they became available, which gives you an indication of the quality and rareness of the location. 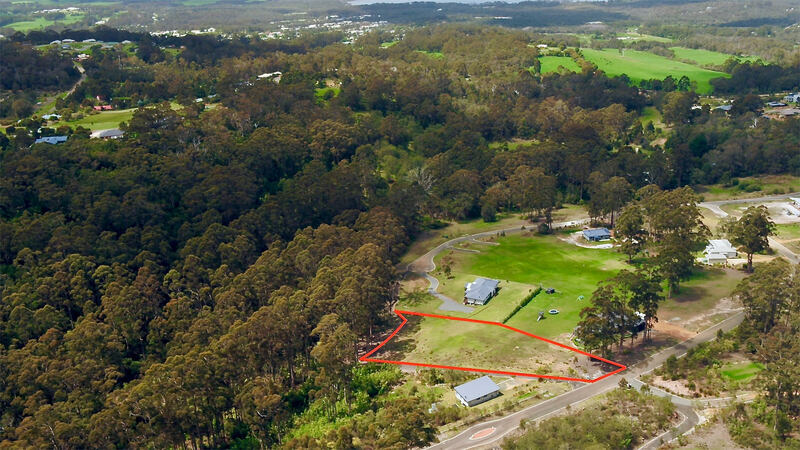 Situated roughly 3 kilometres from Denmark town centre, they all enjoy terrific views over a magnificent Karri forest and beyond. Lovely walkways can be found everywhere in the development, including right next to this block, that leads you down to the edge of the forest. Just imagine going for an early morning walk or run down these lovely lanes while breathing in pure Denmark air, admiring the magnificent Karri trees and listening to a myriad of birds chattering happily. If you’re not the walk/run type then don’t stress, imagine sitting on your extensive patio or balcony enjoying the rush of living at one with nature. The blocks are all big in this development so everyone has plenty of space and privacy. 35 Love Crescent is 4,529 m2 with a 96.1 m side boundary onto the public walkway. It is narrower on the roadside and then flares out right to the walkway and edge of the Karri trees at the bottom boundary. 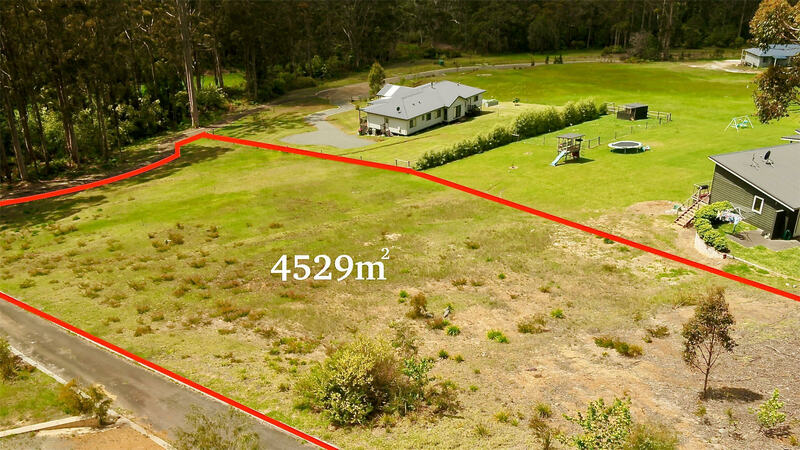 The property does have a bit of a slope, but don’t let that put you off as you will probably choose to build a little lower on the block and cut into the existing land like the neighbour on the right or build a pole home like the neighbour on the left. The block is cleared and ready to go with power and water on the road. The final point that ticked the boxes was that there’s no time limit for building or a minimum square meterage which opens the scope for permanent or holiday. Please note that this block is priced for a quick sale due to a change of circumstances for the owners. Research will confirm that they paid $320,000 in 2006, so we expect to get the very reasonable asking price – or very close to it. 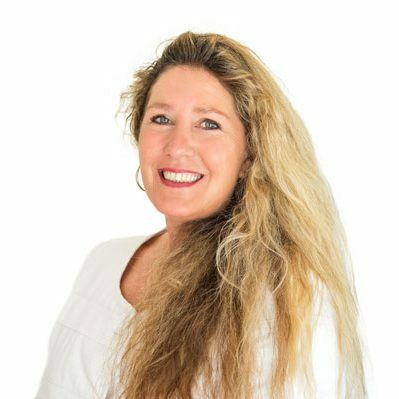 Please contact the Albany based, exclusive agents Jess on 0410 631 335 or Michael on 0408 202 081 for more information or if you’d like to meet us on the block.